his month’s bag came pretty late for me, probably because I’m London-based, so it was hard trying to resist the temptation to ruin the surprise and read the other blogs. Luckily I managed and was excited to receive a big package in the post. The perfect surprise to come home to on a Friday! I got two face masks in this bag, which I was happy about as I’m running low and I like to use 2-3 face masks a week as a treat to freshen up my face after a 11 hour work day. The Marigold Mask is meant to be good for oil control, this is perfect for me as I have combination skin. 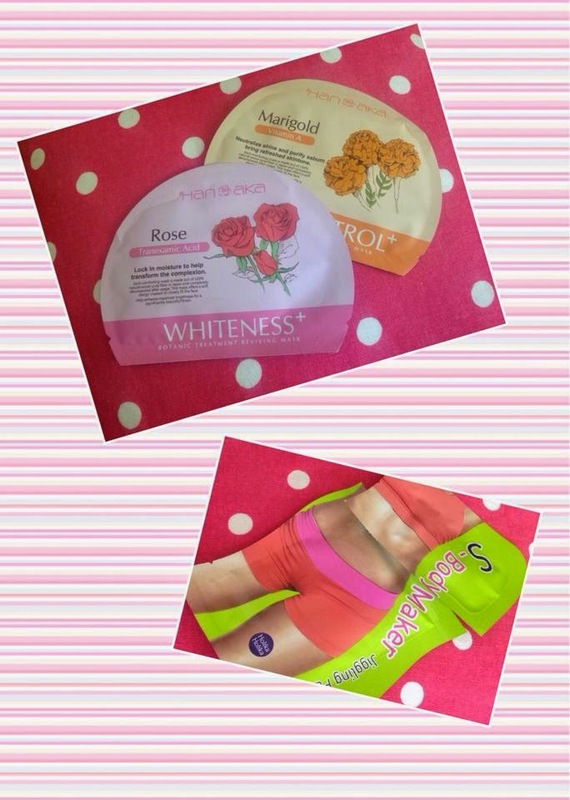 The Rose Mask helps to lock in moisture. I’m always wary of any patches or creams which claims to firm skin or help reduce fat. A good diet and exercise are the only ways to achieve your ideal body healthily I believe. There’s a gel which you apply first that foams, then you add the patch on top of this for 30-40 minutes, so something to do when you have a movie or tv episode to catch up on. This was one of the items I had the choice to customise, so I knew it was on its way! 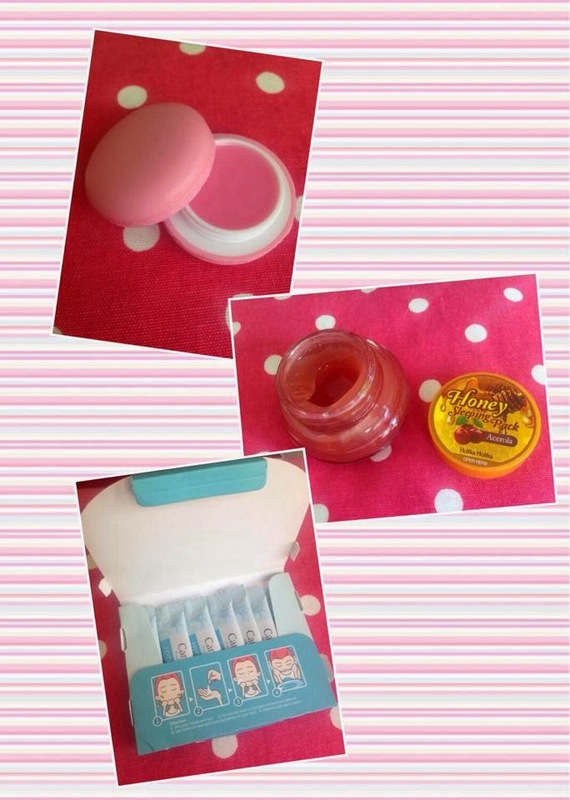 I’m not a fan of pot lip balms, in my view its not as hygienic as stick lip balms. But this packaging is too cute! This has a sweet smell, which isn’t too overpowering and I’d recommend it to friends. This was the second of two items I could customise, and the big ticket item in the bag. This is a sleeping pack which you put on just before going to bed and wash off in the morning. It feels like a sticky texture but spreads out like a gel and leaves a very faint scent. You don’t need to use too much of this at once, otherwise it can get too gloopy and sticky on the skin. This contains honey which has anti-bacterial properties, and acerol encourages collagen. Another product from Hanaka, this contains 7 packets of ‘powder’ which you add to water and use to cleanse the face. Camellia is a great ingredient in skin care, I find it soothes the skin and helps to combat redness and blemishes. I like the fact this is in 7 separate packs so I can take it on trips. Beauteque likes to include a lifestyle item in each bag, and this month’s was this razor. I won’t lie, I was pretty disappointed to see this in the bag. It looks like a cheap disposable razor, and I have my own razors with gel strips to soothe the skin, which this one lacks. Hopefully next month’s bag has a better lifestyle item. The Beauteque description card describes this as a shaving cream, which explains the razor, but its actually a moisturiser! 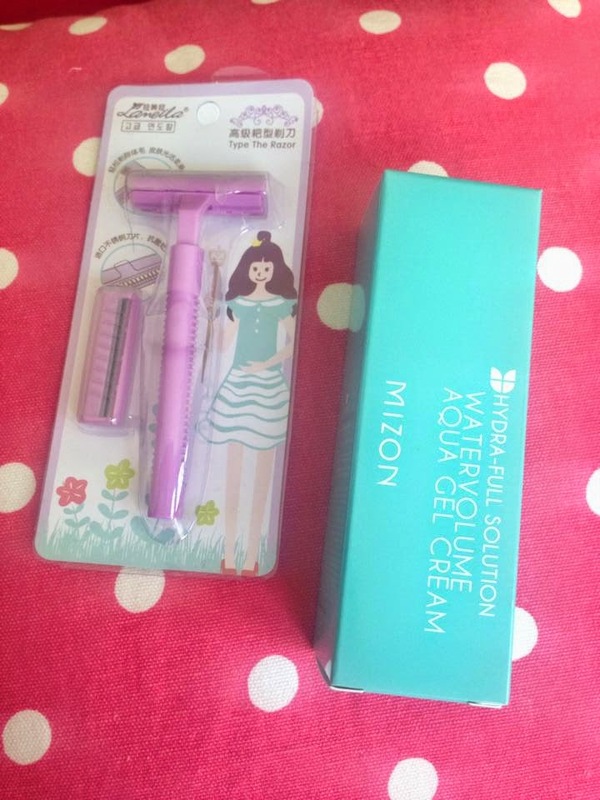 Mizon is a Korean Beauty favourite, and I was super happy to see this in the bag as I’ve just run out of moisturiser! I also like the fact its in a tube, which is more hygienic than the tubs which most moisturisers come in. It has a slight medicinal smell to it, but it does leave my skin feeling soft and not oily. Altogether I was pleased with this month’s offering from Beauteque. There was a nice selection of different choices, from face masks to sleeping packs, so something for everyone. I have doubts over the razor though and would have preferred another sheet mask to this. But overall this made me a very happy bunny. 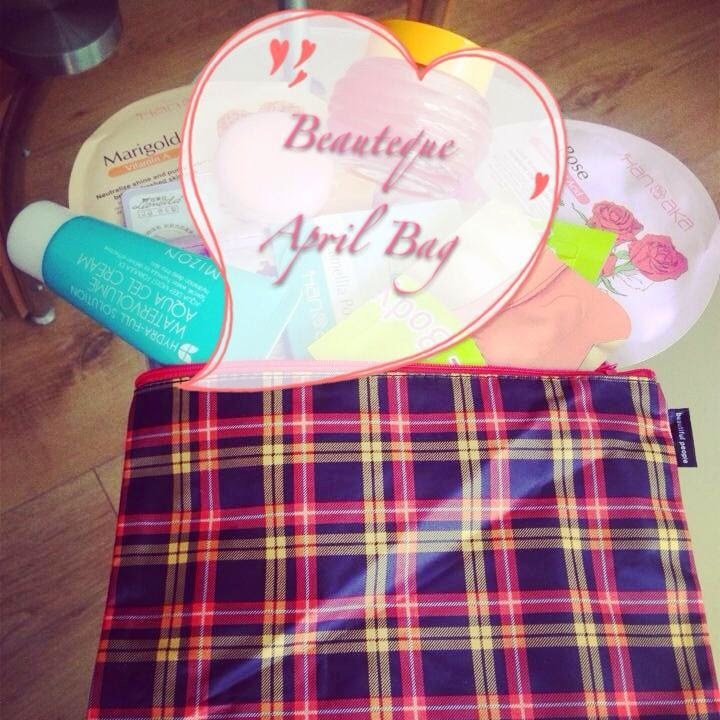 Bring on May and the next Beauteque bag!